The New York Times bestselling memoir about identity, love and understanding. Now a major motion picture starring Nicole Kidman, Russell Crowe, and Lucas Hedges, directed by Joel Edgerton. “Every sentence of the story will stir your soul” (O Magazine). It would be easy for this book to have taken on a very different tone. 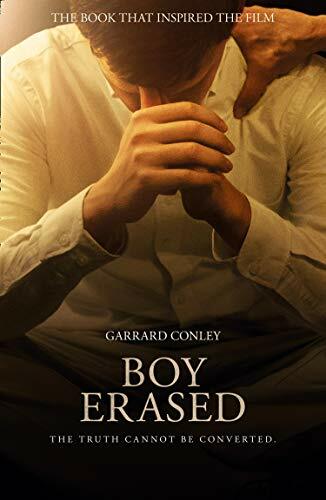 Garrard Conley’s time with the ex-gay conversion group seems the sort of thing which could enrage you, once you come out of the mental chaos this pseudo-science pastiche of self-help jargon, addiction methodology and fringe (at least today, and for most people) fundamentalist beliefs. It could have been, arguably legitimately, full of bitterness, reproach, and mocking derision of the people engaged in this effort to reverse what most of us know feel (know) to be foundational qualities of each human being: who can provide romantic, spiritual, mental and sexual completion to us. Or more simply, who we love. But there is a quality to this book, perhaps a humility which comes from still loving the people he grew up with, the values they instilled, the faith that he had. He sums it up at one point by saying “it’s complicated.” I might say in addition, he shows it can be nuanced. You can love a person, but disagree with them. You can value a religion, but not all of it. You can condemn what a person does, but still see there is humanity in there, however deep. You can do this, but still hold on to and advance stronger beliefs: hypocrisy has no role in important conversations. We have rights, like being who are, being free to think for ourselves, to seek knowledge, and engage in debates about it. The events in this book range from a lifetime to less than two weeks of conversion therapy. I felt I understood his well intentioned attempt to try this, to respect his upbringing and his family, and how the attempt almost derailed his life. His mother’s presence is captured as a depiction of how parental love can both push a person toward what one thinks is right, but when seeing things hurt their child, rise up to defend them; his father’s similarly, how one can work to form a child, give them the knowledge and ability to prosper in life, but also to realize that if isn’t what they need, to accept that. I hope Garrard is able to make a happy life for himself, and kind of feel he will. I hope this book can help people who have experienced, as I have (not to his extent) the challenge of being gay in the gap between the generational change we have seen in our lifetimes. And in a way, by how he maintains love and respect for the people in his life who were unable to accept his homosexuality, help bring understanding between people who would instead be condemning each other as bigots or blasphemers. It is so much better to be in communication than to be right. This is powerful writing. I could not put it down. The author's account of his time in the ex-gay "therapy group" is profoundly moving - as the days pass and the author reveals his increasing stubborn resistance to what the counsellors are trying to do to him I felt like cheering him on. Thank God I never had to undergo such a truly painful experience - at 76 now - when I faced my own struggle between the fundamentalist Baptist faith I was raised in and my own homosexuality the ex-gay movement didn't exist in Australia. But I share the author's pain when inevitably by accepting one's own sexuality one cannot help but wound the God-fearing parents one truly loves. Yes indeed, Gerrard, it's complicated. And the angst never truly passes completely. This account is the very best I have ever read of such a personal story. I thank the author for writing it and urge people who want or need to understand this issue to read it. For every "Boy Erased" there is a "Simon vs. the Homo-Sapiens Agenda" or a "Call Me By Your Name".. 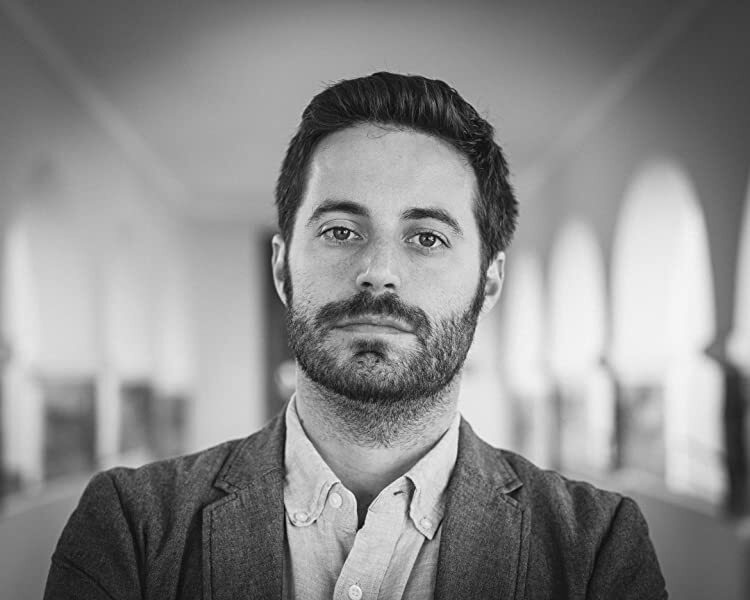 Unfortunately, the latter two are fiction, while Garrard Conley's memoir is an unfortunate, if beautiful, reminder of the uphill battle many LGBTQIA+ Americans still face not only from society at large, but from those who should be most able to love and support them unconditionally: their families. In between vivid and searing passages describing his experience with the pseudo-psychology and half-baked Freudian analysis of Love In Action's conversion therapy, Conley includes beautiful, lyrical flashbacks to provide not only context for his decision to voluntarily enter therapy, but also to demonstrate his deep love for his parents and his willingness to put himself through hell and back for them. Many of these scenes had an extremely uncomfortable resonance with me, having also grown up in a Southern Baptist congregation. 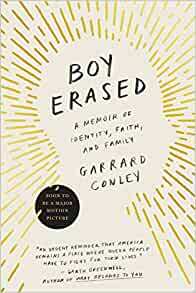 Perhaps the most illuminating scene in the novel is the event that causes Conley to walk out of Love In Action: when a counselor tries to force him to admit that he hates his father- the evangelical preacher who delivered to him an ultimatum: choose between conversion therapy or be disowned- he is unable to summon any anger for his parents. Through everything, he loves his family. Despite all of the anguish inflicted on the author, he has managed to deliver a tale that is at turns haunting and touching, yet somehow without vitriol, even though there is plenty of potential anger and blame to spread around to his parents, to his church and community, to Love In Action and Exodus International, or to society at large. Instead, his narrative ends with his mother, realizing the damage being done to her son, removes him from therapy. The lack of condemnation and or reciprocal hate in Conley's narrative is at once refreshing and disappointing. Were this not a true story, the lack of conflict at the end would seem unsatisfying... But as a recounting of actual events, the lack of anger and hate is refreshing. I understand that writing can be therapeutic, and I am sympathetic with the writer. I don't think anyone should have to go through what he did. I just didn't think there was a logical flow to the writing itself. It was difficult to follow with how much it jumped around. I don't think everything that happened at LIA could have been told. I honesty didn't get what happened that made him feel suicidal. This is what leads me to believe that something was left out. Maybe the most painful experiences have been blocked out of the writer's memory, or weren't able to be shared because of a contract signed with LIA, I'm not sure. I was just never able to connect with the authors pain because of the constant jumping around or lack of experience shared or possibly both. I just had a difficult time pushing through this book.